Hey, so, cool story: I picked Belmont over Georgetown. I can’t really remember why, but it seems like the hot pick at the moment, right? 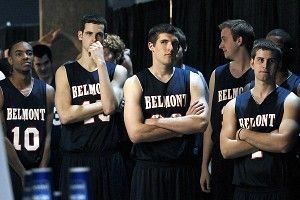 Let’s examine Shane Ryan’s mid-major primer on the Belmont Bruins and learn some things, so I can try to justify this. Q: Where’s Belmont? England? Sounds English. A: Correct. Belmont is a cricket park in Manchester, England. Q: Has Obama ever been there? What about John McCain? Love those dudes. A: Funny you should ask. Belmont hosted one of three presidential debates in 2008. So yes to both! Q: Is the school still pretty buddy-buddy with the Tennessee Baptist Convention? A: Sorry to be the one to tell you, but it actually severed ties with the TBC in 2007. Nothing’s sacred anymore. Q: What’s the Atlantic Sun? A: The most beautiful site in the world, and also a sporting conference. Belmont has won the regular-season basketball title five of the past seven years, and four of the last six conference tournament titles. Obviously, the tournament title is more valuable in the Atlantic Sun, because it comes with an automatic NCAA qualifying berth. Second place in the A-Sun doesn’t cut the mustard. Belmont, a 14-seed, is scheduled to face 3rd-seeded Georgetown at 3:10 p.m. Eastern on Friday.